Barça Lassa were well beaten in the first game of the semi-finals against Kirolbet Baskonia (86-61). The encounter saw the Basque side demonstrate their superiority from the off with a clinical attacking display and a tight defence. The blaugranes saw how their impressive opponents and their lack of attacking fluency limited their chances. Pesic was without Pau Ribas and Pierre Oriola and they were replaced by Aleix Font and Atoumane Diagné. The game started with the Kirolbet Baskonia taking a lead they never renounced. In fact, they added to it as the game went on in spite of Barça’s best efforts. The visiting team went into the break 19 points behind. Tomic and Hanga were the best blaugranes in these opening 20 minutes. 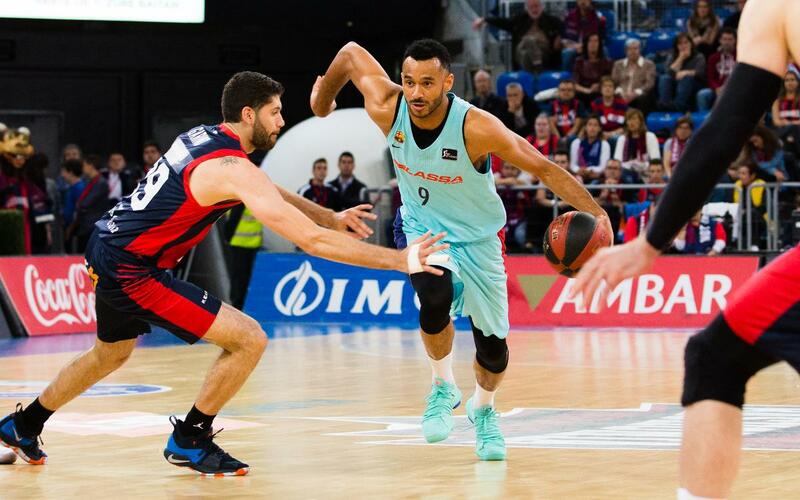 In the second half, the blaugranes maintained their intensity but they remained behind as the home team opened up a commaning 67-40 lead by the 30th minute. Pesic’s team have the opportunity to turn this result around on Wednesday as the second match of the series will take place at the same Buesa Arena venue from 9.00pm CEST.